It's important you and your partner determine what the next step is for your partner on the small business journey, and be an empowering influence. Do you have a partner who wants to start their own business? If so, your unique level of support and positive contribution is critical during this time. In light of this, helping your partner start their own business may require you to learn a few things as well. Jenn Ward is a guest blogger here today and she has some tips to help business owners and marriage partners. We hope you and your loved one start a profitable business venture and keep it going strong. Setting realistic goals is a serious consideration for anyone wanting their own business. Without a strategic plan of action, a small business owner may set too many goals at once for themselves. Trying to accomplish it all on schedule can cause anyone to stress out. The goal of establishing a company may be an overwhelming task for a new business owner and especially without a team. When the goals and objectives set are reasonable, a new business can progress at a stable pace. When you don’t know how to support your entrepreneur husband, there are other resources. For starters, your partner can consult his business plan. There, he should find a reference so he is able to make a decision without you from time to time. Although you’re there to help, he can’t be totally dependent on your advice. It’s his own business after all. Point of sale systems (POS) is a must-have technology for many business owners. It doesn’t whether if you plan to operate a store filled with merchandise or deliver a set of customized services. The point of sale is the moment a business transaction is made. However, far more can be done simultaneously by inputting data into a POS. An advanced POS does more than execute transactions. The technology can collect and organize sales records, determine consumer preferences and compatible recommendations. In addition, it can perform data analytics for your business, and even connect with consumers and remote staff. Since you’re starting a business with your boyfriend, you should know one of the smartest things a new business owner can do is to gain legal protection. Ensuring the company is totally compliant with both local and state laws is necessary, and the business must be registered with the government. If your partner plans to have employees, he or she needs an Employer Identification Number (EIN) for tax reporting purposes. Securing small business insurance is a must so your partner does not risk losing his or her assets in case any legal trouble arises. Forbes suggests small business owners should work with a certified lawyer to create clear, proper agreements and secure the protection of intellectual property. 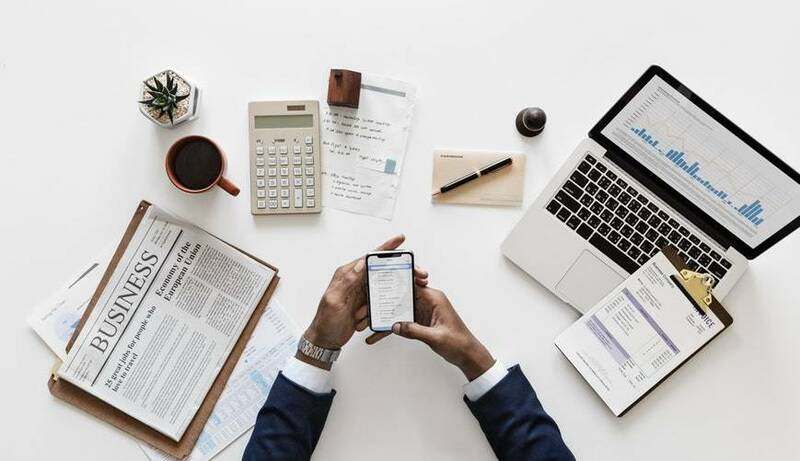 Many people consider all kinds of financing options to fund a business, but it is important your partner makes a sound financial decision in this area. Many small businesses fail because of the mismanagement of finances. Having your own business is little more complicated than most people think. At one point I thought my husband’s business is running our marriage, but it worked out and we’re truly blessed because of it. Creating a well-defined budget and ensuring there is emergency capital in place (and there will be unexpected expenses) is essential for the smoothest transition from planning into operation. If it is your spouse, any funds allocated to the business can affect you as well. Encouraging your partner to minimize the number of loans used to start his own business can save you both from financial complications in the future. Will you be working on the business with your partner, or are you an encouraging voice and helping hand? Understanding your potential role early on can help you offer the amount of support your loved one needs, or grant enough space if you are asked. How to support your husband in his business is a personal decision. Entrepreneur suggests you should ask your partner if there is anything you can do to provide support, even if he or she is unclear on how you can help just yet. The ups and downs of starting your own business are not for everyone, and some couples do not survive it. If your partner prioritizes the business and you do not, it causes problems. You and your partner should share a unified perspective so you are a help and not a hindrance to the process. Expect more of his or her free time, energy, and funds to be invested in the business as well. Preparation is key. In fact, it’s crucial when you run your own business. Every new business owner should get business advice before starting a business and not wait until they are in the struggle. My husband is an entrepreneur and it’s really hard sometimes to be all places and all things. As a caring partner, however, be sure to share fundamental topics and cover all of the bases early on. It is possible you may bring up vital points your loved one may not have considered.